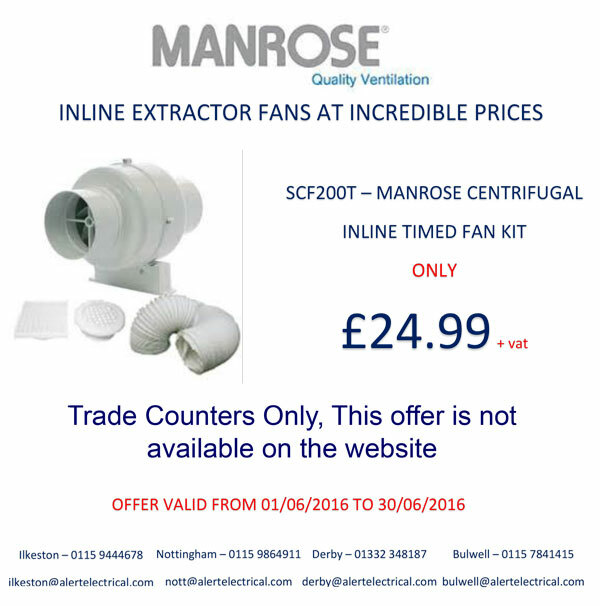 We are offering the Manrose 200mm / 8" inline centrifugal fan complete with timer and ducting kit for an incredible £24.99 + VAT. We dont list this one on our website it is only available through the trade counters, contact details at the bottom of the advert. Only available for June 2016.